I like silence, too. The quiet of a spring morning just as the sun rises is contemplaintive. I love to soak in the quiet after my two grandchildren leave my place with my daughter. That silence is broken only by a barely audible sigh. Silence as my head hits my pillow at night is wonderful. I think of silence as peaceful. But there is some silence that just drive me nuts, mainly because I just don’t know what it means. For example, I recently wrote via snail mail to a customer who lives out of state. The next ABAA book fair was coming up, and I had a few books I thought he might like. And I wanted to offer him a free pass to the fair. He had purchased nearly $10,000 worth of books at the previous ABAA book fair, so this seemed like a good idea. I don’t know if he has e-mail. I know that I don’t have any e-mail address for him, so I also asked if he would like to share that e-mail address with me so that future communications could be a bit swifter. Day by day passed. Each day I wondered if that day would bring a response, even if that response was, “Sorry, but no.” Instead, I was disappointed each day to receive only silence. I guess he declined, but it’s only a guess. Maybe he died. Maybe he’s been out of town. Maybe this. Maybe that. All I have is speculation. And the feeling that I’ve been treated rudely. A couple of months ago an institution near me was interested in a rather expensive item costing $12,500. The librarian asked for several scans. I sent them, as requested. What do you think followed? Silence. She didn’t even bother to acknowledge that she had indeed received the requested scans. This is simply rude behavior. I’ve had this experience with a few librarians in the past. Does it mean that librarians are rude? That they are taught not to respond? Does her silence mean she wasn’t interested? Maybe she was still thinking about it, but wouldn’t proper behavior require her to let me in on what otherwise appears to be a secret? Once again, all I have is speculation. In this case it wasn’t me who initiated the offering. It was the librarian. Doesn’t she have some obligation here? In cases like this I ask myself, what would my mother have done. My mother would have responded, even if the answer was “Sorry, no.” If my mother can have good manners, why can’t librarians? Unfortunately, I have no answers, just questions, and the belief that civility and good manners in the 21st Century, in this age of immediate wireless connection, has been left behind like some poor step-cousin. The best way to describe this fair, as to sales, is that it would have been a good shadow fair. Most of us expected a better return for a book fair sponsored by the Antiquarian Bookseller’s Association of America (ABAA). The ABAA sponsors its California book fair every February, with the location bouncing back and forth between Northern and Southern California. This year the 49th California International Antiquarian Book Fair was conducted in Pasadena Feb. 12-14. When the fair is in Southern California, a promoter independent of the ABAA generally takes advantage by sponsoring a shadow fair in Northern California the week before so exhibitors coming from the East and Europe (and even Asia) can get two fairs within this big state which, if it were a stand-alone country, would have the seventh biggest economy on the planet. Makes sense, no? Yes, but these shadow fairs generally produce lesser sales. That was the case Feb. 5 & 6 with the shadow fair that took place in San Mateo in Northern California. We ABAA members certainly got more in Pasadena, and we most definitely got a more professionally run fair from top to bottom, from open to close, worth every cent it cost exhibitors. But exhibitors probably expected more sales when the real deal was happening in Pasadena. After all, White Rain, our production management company, just can’t be beat. Load in and out was seamless. Staff, including security, were personable, upbeat, fun. I’ll give a shout out to Molly Glover. I had no problems for her to solve this time around, but if I would have had an issue, Molly would have solved it. Molly knows all, does all. I would describe my sales as a disappointment, yet when I checked with other exhibitors, even those who sell books far different than mine, I was ahead of them. Sure, there were some who described their take as “fantastic,” but they would have been in the minority. Let’s talk specifics. I wrote eight invoices, three to the trade and five to civilians. I can add one new collector to my inventory. Sales totaled a meager $9,500. Let’s take a day-by-day look. The crowd on opening night (Friday) was good-sized, but few were carrying purchases. I sold nothing Friday, despite having a lot of lookers. Reports from other booksellers indicated that there was a paucity of dealer-to-dealer sales. That was a bad omen. I did meet a few other Armenians. We talked about our ancestry, the food our grandmothers made, etc. That was fun and brought back some great memories, but for the most part I could have farted in my booth with impunity. There was a better crowd Saturday, but it lacked excitement and electricity. Half the day passed before I sold a book. One dealer took mercy on me and made a small buy which brought my sales to the three-figure mark. Whoopee! It took the appearance of my best customer and then another very good customer to break the thousand dollar mark. One could play the game of “If I were to back out this sale or that sale because I could have quoted it without doing the fair,” but that just provides diminishing returns. Those thoughts would not have occurred had sales been brisk. The Sunday crowd was small, but it was about what I would have expected. I had a good sale to a dealer and then to a civilian who will undoubtedly buy from me again, but adding her to my customer base was a lonely experience and those were the only sales to keep me awake. Let’s talk about some peripheral points, both good and bad. Just about my only complaint tied to White Rain (or maybe the venue) was that both my display case and my trophy case were filthy, especially the trophy case, to the point that I never truly could get them clean to my standard. My memory from previous fairs in that location and in Northern California is that cases were provided in an already cleaned state. The carpet was a bit lumpy, and it seemed to take right up to the opening bell Friday to finish laying it all out and getting the job in a finished state. The exhibitor’s hospitality area was excellent. Coffee was plentiful and delicious. I keep thinking back to the abomination that we called coffee in the old Concourse venue in San Francisco. The plentiful fruit was so beautiful I wasn’t sure it was real. It was. While the Sheraton is a convenient hotel, just a stone’s throw from the convention hall site, it just isn’t a very good hotel, definitely not a luxury hotel — despite the better rate exhibitors received. My tush is a two-ply tush. The Sheraton remains committed to one-ply. Terrible. Its elevators operated in slow motion. The air conditioner in my room was so loud that it woke me up when it went off in the middle of the night. A motorcycle would have been quieter. Why there was an alarm clock/radio in the room when one can secure a specific wake up call is beyond me. This anachronistic device went off at 6 a.m. Friday. I haven’t used such a device for decades now and had no idea how to shut it off. Not good. Concession food at the venue site was poor. Was the sales disappointment tied to the sluggish economy, the sluggish stock market, the beautiful, warm weather? One can kick that can around forever without reaching a satisfactory conclusion. Will I exhibit again? Sure. I’m looking forward to the 50th California International Antiquarian Book Fair a year from now in Oakland, CA, site of my best book fair ever a year ago. Despite sales this year to the contrary, I remain optimistic. Actually, I sell rare and collectible books. What’s the diff? All rare books are collectible, but not all collectible books are rare. 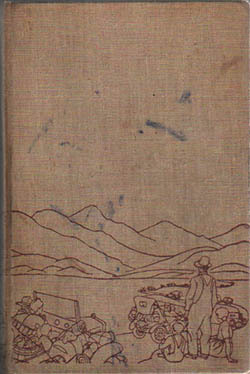 Okay, I have a copy of John Steinbeck’s first book, Cup of Gold. 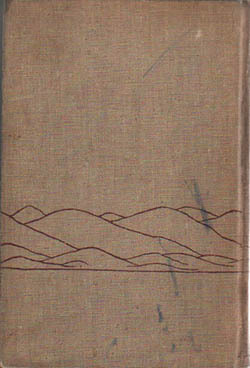 Just an ordinary copy of the first edition, first printing, but without its dust jacket. It’s a collectible book. Why? It’s the first book by a major author of the 20th Century. He was awarded both the Pulitzer Prize and the Nobel Prize for Literature. But it’s not a rare book. Scarce maybe, but not rare. Now let’s say that I not only have such a book as the above, but it’s also inscribed by Steinbeck to his sister. I actually own this book. 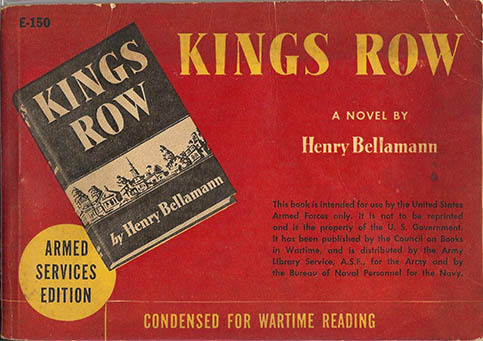 This book, because of its various elements (the dust jacket and the author’s inscription to a close family member), can now be elevated to the rare category. But let’s back up for a moment. When someone who isn’t a sophisticated book collector hears that I sell rare and collectible books, they assume immediately that I have hundred dollar bills falling out my pants pockets when in reality I feel a body blow if I were to lose a quarter. Why? I spent more than 30 years of my adult life working in the restaurant business as a waiter and sometimes as a bartender and restaurant manager in order to finance my life as a bookseller, starting in business 35+ years ago with no books, no brains, and no money. When I say I sell rare and collectible books, it means just that. Sometimes the books are collectible, even if they are plentiful, and once in a while I have a book for sale that is indeed rare. Again, when peole hear what kind of books I sell, they assume every book is rare and worth a million bucks. Not so. Or that every book I have is priced at $10,000 or more. Not even. 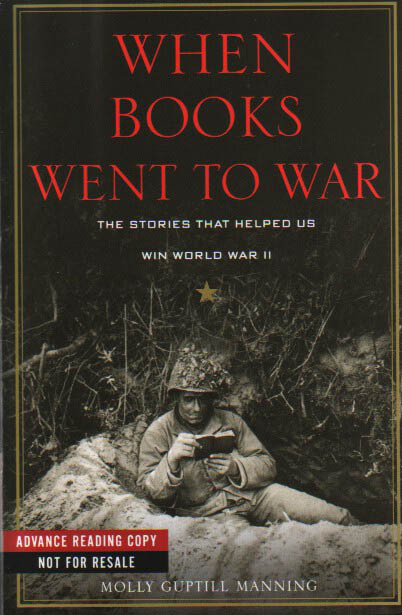 Let’s examine a book that illustrates what a collectible book is, and it is one that is very accessible to those who have yet to inhabit the “rare” world. 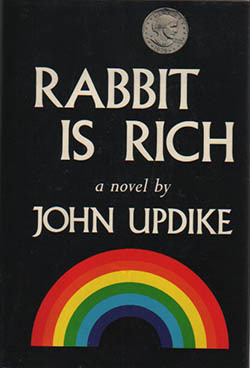 The book in question is Rabbit Is Rich by John Updike, published by Knopf in 1981. It is Updike’s third “Rabbit” book. I have the first trade edition with its dust jacket. It is NOT a rare book. According to Allen Ahearn of the firm Quill & Brush, noted antiquarian booksellers and a long-time member of the Antiquarian Bookseller’s Association of America, the print run for the first trade edition was 60,000 copies. This is noted on the advance uncorrected proof of the book. Well, that’s a helluva lot of copies, you might say. Yup. That’s why it’s not a rare book. But the book won Updike the National Book Critics Circle Award, the National Book Award, and the Pulitzer Prize for fiction. Not a bad triumphrivate, eh? So now what we have is a major novel by a major author of the 20th Century, a triple award winner. That’s a collectible book. And at $25, less than the cost of just about any new hardcover book, it most certainly is affordable.